Facilities include ensuite rooms, campsite, gardens and restaurant. Experience the tranquil relaxed atmosphere of The Shammah Eco Centre. 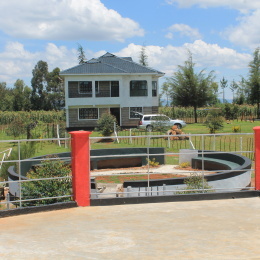 Situated in Nanyuki, Laikipia County within the Oltulili Mt. Kenya ecosystem. Escape the hustle and bustle of Nairobi and visit Shammah only a two and half hours’ drive from Nairobi and thirty minutes’ drive from the Nanyuki central business district. Enjoy the beauty of Mt Kenya with spectacular view points from different locations. Activities include nature walks and various team building programmes.